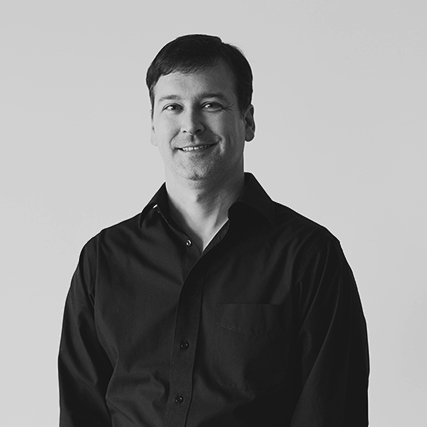 With 15 years of experience, Bryce is an essential design and management leader who oversees the success of projects from conception to completion. He possesses an extraordinary ability to understand and implement the clients’ needs and is committed maximizing the potential of each project. Detail-driven, Bryce resolves challenges with design and construction down to the smallest of details. He views coordination as an essential part of the design and success of the project and finds joy in understanding how things are built/assembled and shepherding a project through to completion. Bryce’s professional experience has taught him to value the service and artistic sides of the profession equally. He enjoys the interpersonal relationships formed on projects – from design through construction – and strives to foster a collaborative environment for design. He brings his broad experience of project and client types to each new project. Most recently, Bryce was the project manager for Harrisonburg’s new net-zero energy-ready Bluestone Elementary School and the Elon W. Rhodes Early Learning Center, both of which are pursuing LEED Gold certification. Currently, Bryce is leading the design efforts for a new net-zero energy PK-12 Educational Campus in Lancaster County.